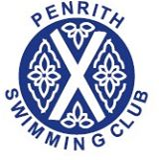 PENRITH Swimming Club hosted the annual primary schools’ gala. More than 100 energetic and enthusiastic youngsters took part in the event, held at the town leisure centre on Saturday. Schools were split into three categories: large medium and small. Calthwaite, Clifton, Crosby Ravensworth, Lazonby and Penruddock were the small schools who took part, while those in the medium section were Hunter Hall, St. Catherine’s and Yanwath. Large schools were Beaconside, North Lakes and Stainton. Clifton, Yanwath and Beaconside were the winners of their respective events, and were congratulated on their achievements.